Many of our clients began experiencing a rapid increase in the volume of public records requests, while dealing with a growing movement towards greater governmental transparency. We sat down with clients large and small, talked with attorneys, and even met with some Attorney General’s Offices to truly understand the impact of public records requests on local governments. As result of many conversations and long hours, FOIA Systems is the only FOIA and Open Records System dedicated to municipalities and agencies. Our goal is to help municipalities and agencies evolve from a labor-intensive, manual process to an efficient automated process. With an automated process, staff members quickly gain the most valuable resource—time. FOIA Systems seamlessly integrates with the Laserfiche platform for a comprehensive public records request process. FOIA Systems enhances the staff process with automated request capture, routing, and management. Staff members have immediate access to tools and reporting on all aspects of the request process. FOIA Systems integration successfully works in tandem with Laserfiche to search, link and attach related documents that are necessary for a response to a public records request. The FOIA Systems and Laserfiche integration eliminates paper-intensive request process and enhances your request process across all departments. Pricing is based on the following elements: your population size, number of staff members that need access to the system, and the total number of public records requests received. FOIA Systems is the only FOIA and Open Records Tracking System dedicated to municipalities and agencies. The FOIA Systems team has been providing service solutions to municipalities and agencies for over six years. Our goal is to help municipalities and agencies evolve the public records request process from a labor-intensive, manual process to an efficient automated one. With an automated process, staff members quickly gain the most valuable resourceâ€”time. 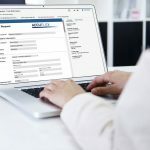 The FOIA Systems Suite automates the staff process and seamlessly integrates with the Laserfiche platform for a complete public records solution.